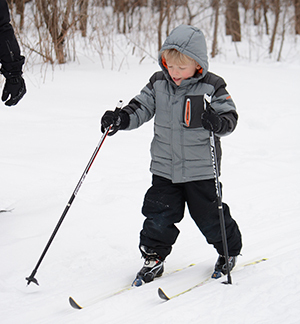 This ski play class is designed to introduce younger children to ski and have fun in the snow. Games and activities are played without poles. Parent participation is requested for at least the first 15 minutes; parents are welcome to stay for the remainder of the class — no skiing required!.